Now that Christmas is over, I can share the last few homemade gifts I made. 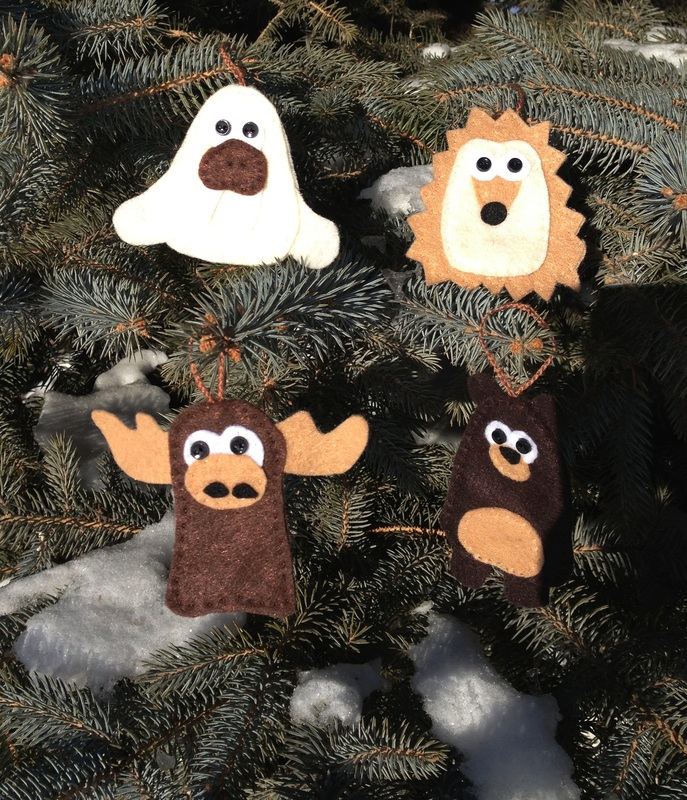 My mom requested moose and bear ornaments for the tree in her woods-themed room, so I did one better and also threw in a walrus and a porcupine. I got the idea here. Photographing the finished ornaments was awful! I wanted to use the side of the tree (outside my parents’ home) with the most snow, which was somewhat shaded from the sun. Unfortunately, that was also the windy side of the tree. With windchills well below zero degrees, my fingers were numb by the time I got the ornaments on the tree in the first place, let alone after adjusting them following over a dozen gusts of wind. I had to settle for the overly sunny, less-snowy-but-less-windy side of the tree. The other homemade gift I gave at Christmas was technically a baby gift. 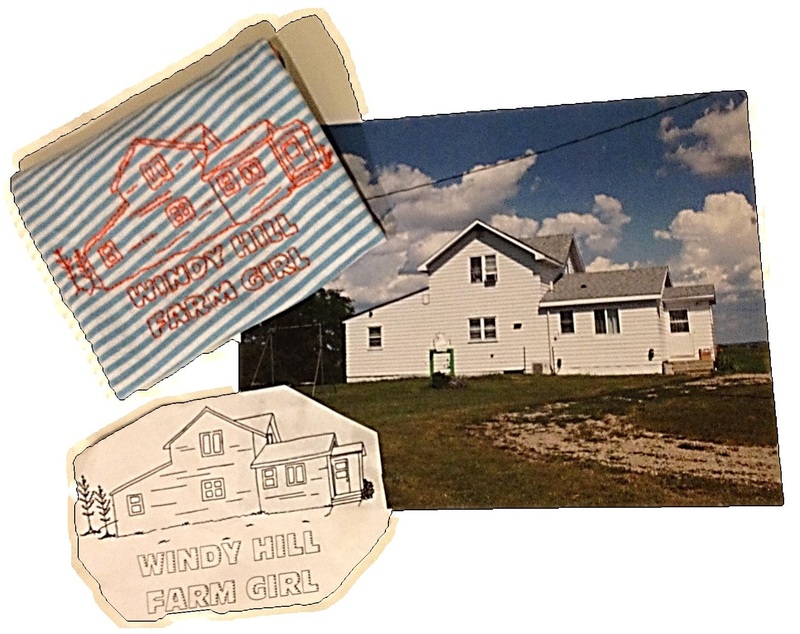 My grandmother moved out of the home she and my grandpa built in the 1950s this year, and it was our first Christmas not at Windy Hill Farm. 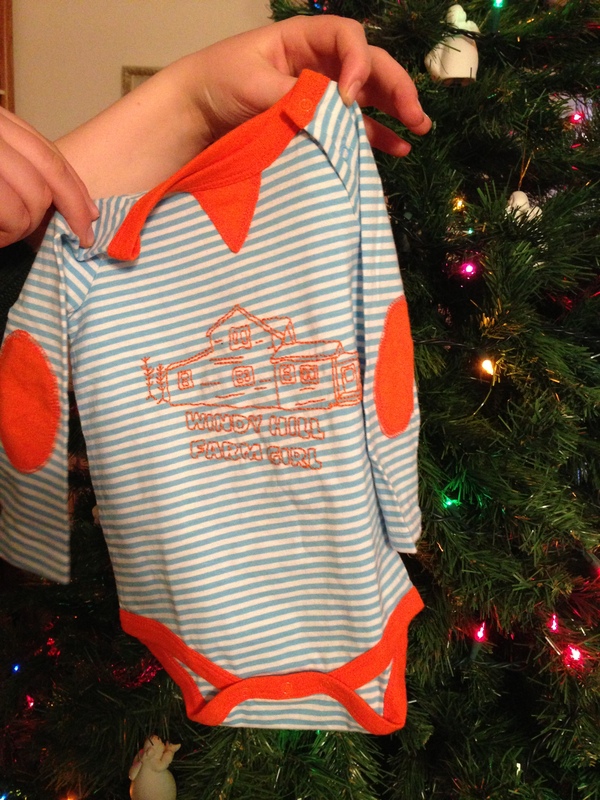 I used an old photo of her house to create the image on a onesie with embroidery. The week before Christmas was really busy because my sister had to go to the hospital, and of course that meant I spent a lot of time there, too. 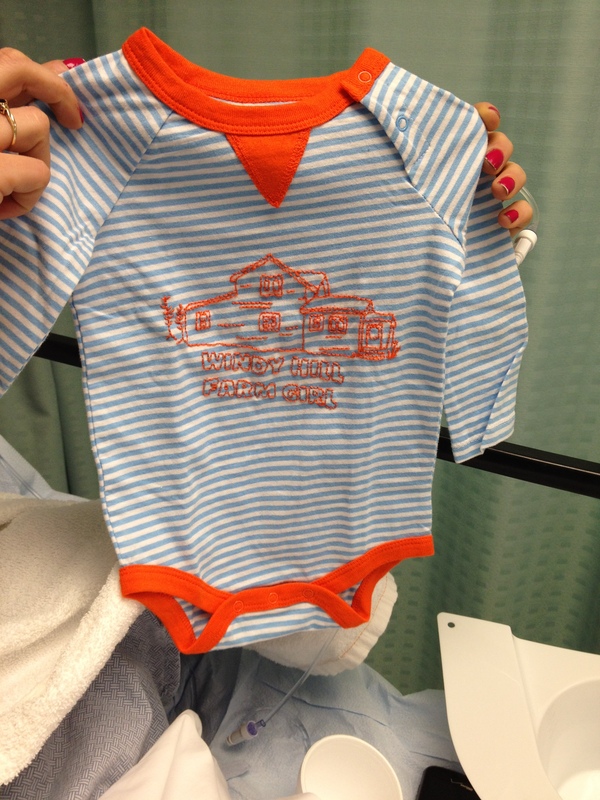 I actually finished the onesie in the ER, and after my sister started feeling better, she held it up for me, IV and all!